Very relaxing stay with great staff and accommodations. 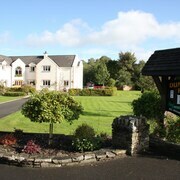 Perfect relaxing spa break in a beautiful hotel with excellent facilities and wonderful staff. What more could you want? Where to find Belturbet hotels near an airport? 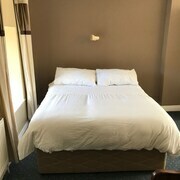 Where can I find hotels in Belturbet that are near tourist attractions? Visitors to Belturbet should think about securing a place to stay as soon as possible, as they won't find a huge range of lodgings in close proximity to the town center. 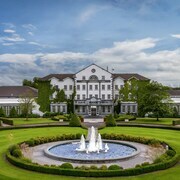 The Slieve Russell Hotel Golf & Country Club, Ireland, which is the nearest hotel, is located 10 kilometres (6 miles) from downtown Belturbet. 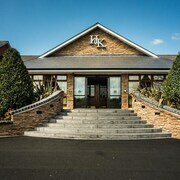 Also, check out the Carrybridge Lakeside Lodge, located in Northern Ireland, which is 20 kilometres (14 miles) away. 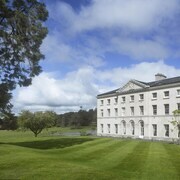 The Radisson Blu Farnham Estate Hotel, Cavan can be found 12 kilometres (7 miles) away from the center of Belturbet. Another hotel is the Cavan Crystal Hotel, which can be found 14 kilometres (9 miles) away. Alternatively you could investigate the Belmore Court & Motel or the Corrigan's Shore Guest House. Positioned 20 kilometres (13 miles) to the east of Belturbet is Cootehill, which offers a variety of Expedia-listed hotels and apartments. 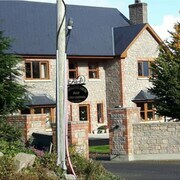 The Errigal Country House Hotel and Riverside House Bed & Breakfast are some of the options here. Consider spending an afternoon rubbing shoulders and cheering along with Cavan sports fans at a local match. 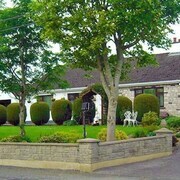 You'll find Oriel Park 65 kilometres (41 miles) to the east of Belturbet. 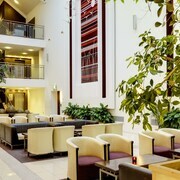 Stay close to the action at the Crowne Plaza Dundalk or the Greengates Bed and Breakfast. Expedia's destination page is an excellent way to learn more about Belturbet. 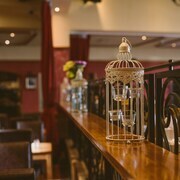 What are the most popular Belturbet hotels? Are there hotels in other cities near Belturbet? 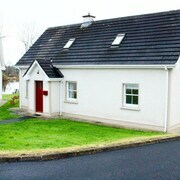 What other types of accommodations are available in Belturbet? Explore Belturbet with Expedia.ca’s Travel Guides to find the best flights, cars, holiday packages and more!